Author(s) Twisk, Jos W. R.
This book discusses the most important techniques available for longitudinal data analysis, from simple techniques such as the paired t-test and summary statistics, to more sophisticated ones such as generalized estimating of equations and mixed model analysis. A distinction is made between longitudinal analysis with continuous, dichotomous and categorical outcome variables. The emphasis of the discussion lies in the interpretation and comparison of the results of the different techniques. The second edition includes new chapters on the role of the time variable and presents new features of longitudinal data analysis. Explanations have been clarified where necessary and several chapters have been completely rewritten. The analysis of data from experimental studies and the problem of missing data in longitudinal studies are discussed. Finally, an extensive overview and comparison of different software packages is provided. 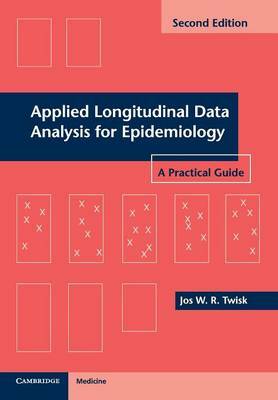 This practical guide is essential for non-statisticians and researchers working with longitudinal data from epidemiological and clinical studies.